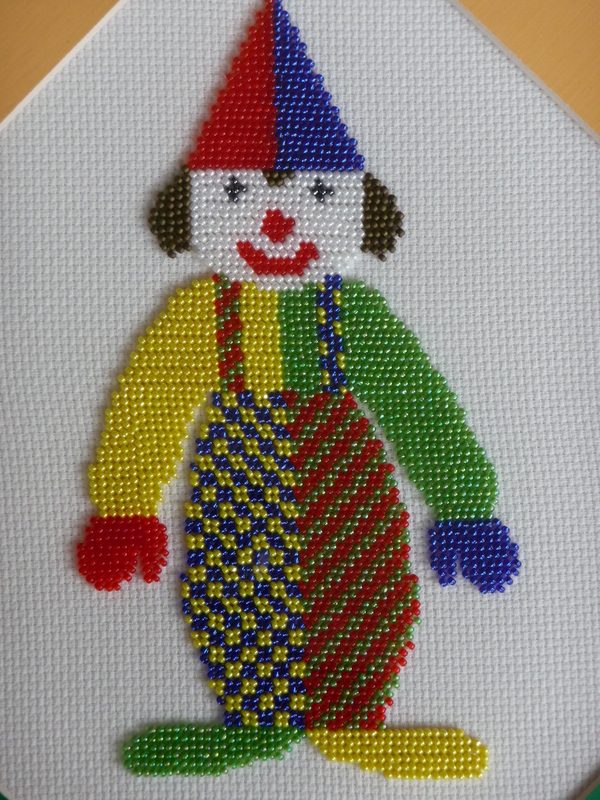 Cat in the window by Jasbir Jabbal. 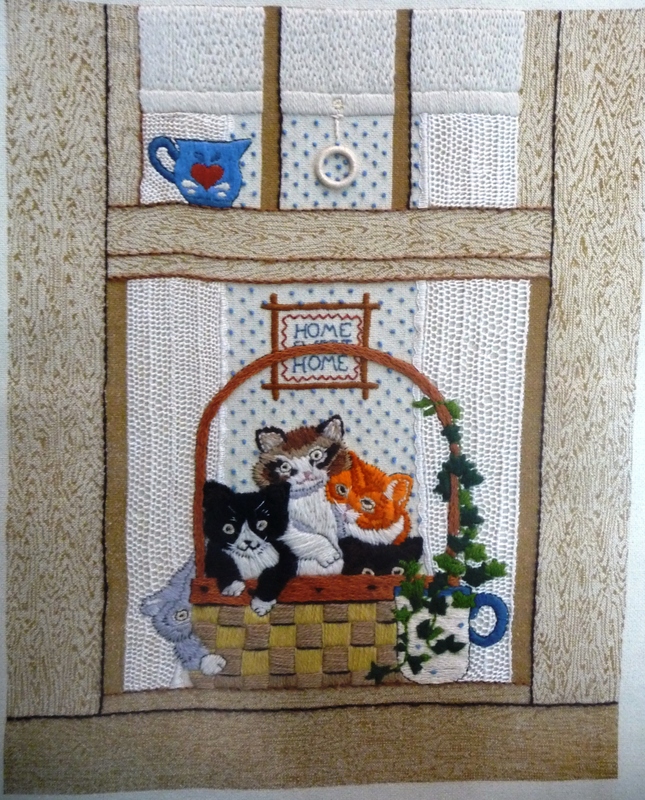 In cat in window note the hand done needle lace curtain. 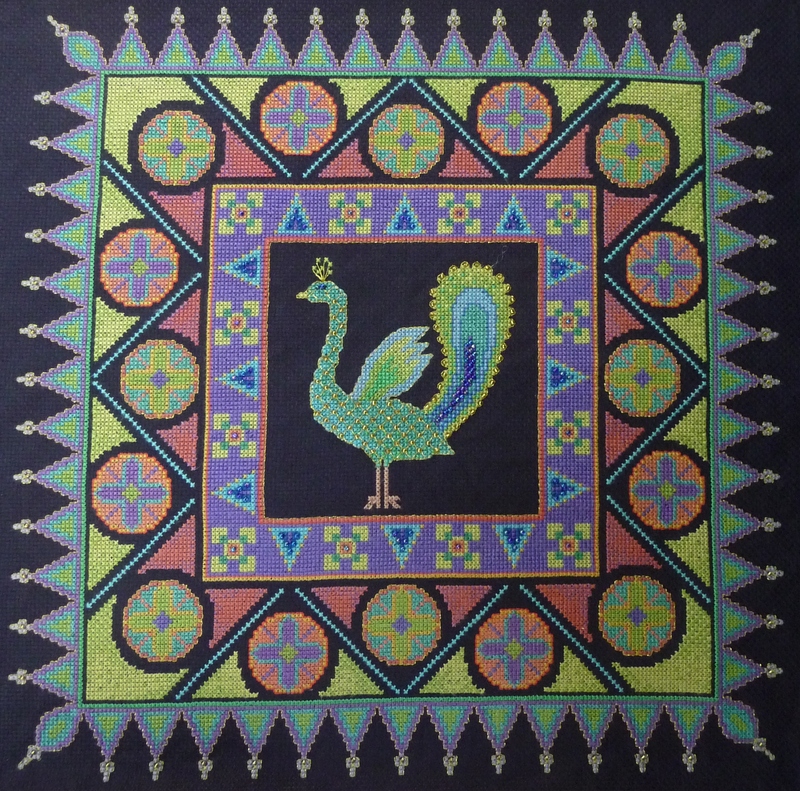 This is done on even weave fabric. 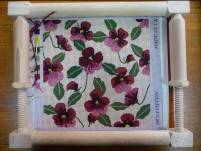 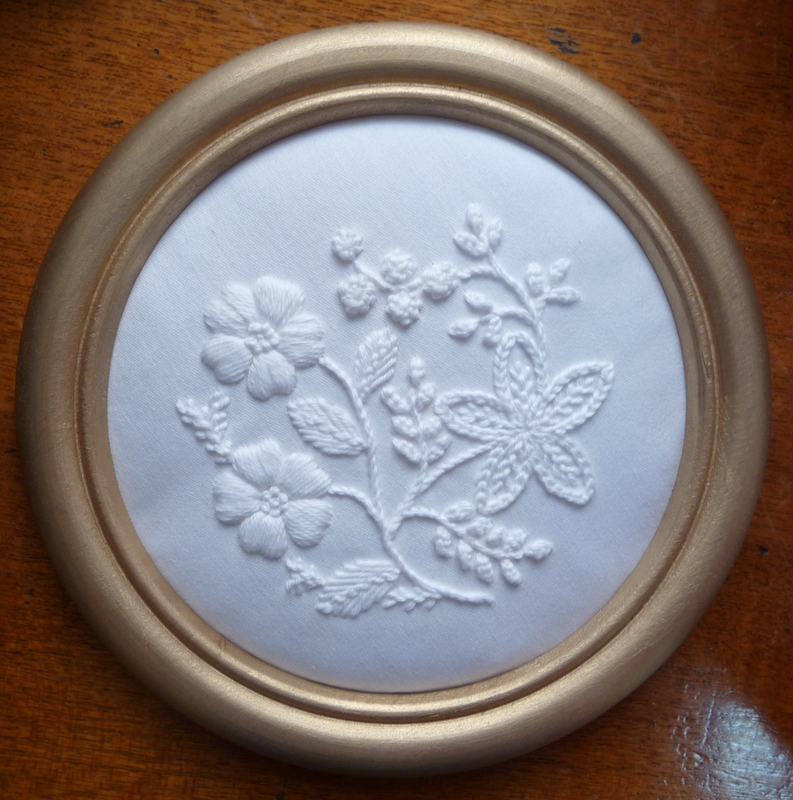 Also by Jasbir this cross stitch flower picture on aida fabric. 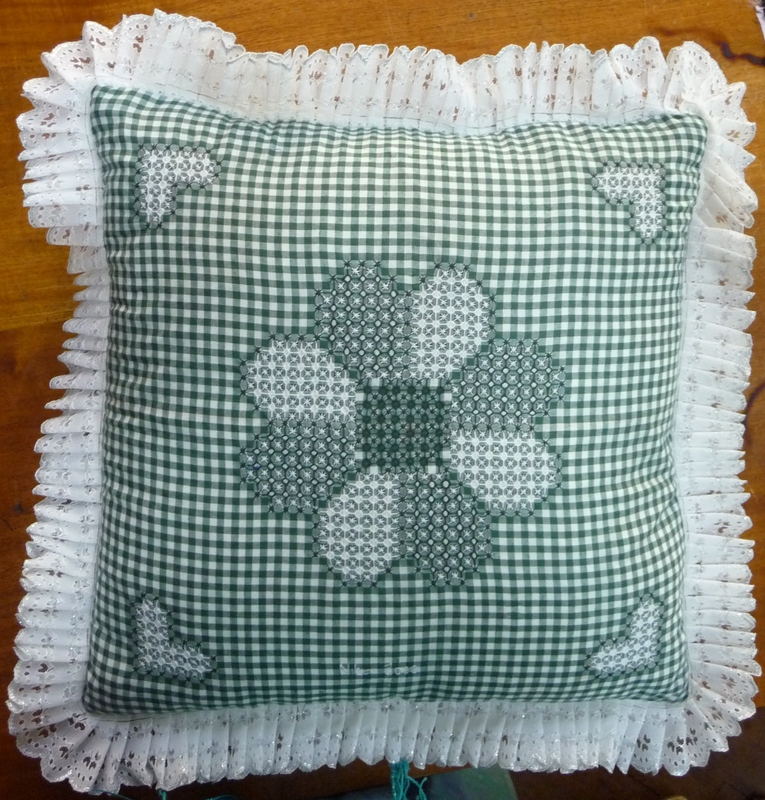 Nita Shah did this wonderful chicken scratch cushion – both sides and then embellished with an attractive frill around the edge. 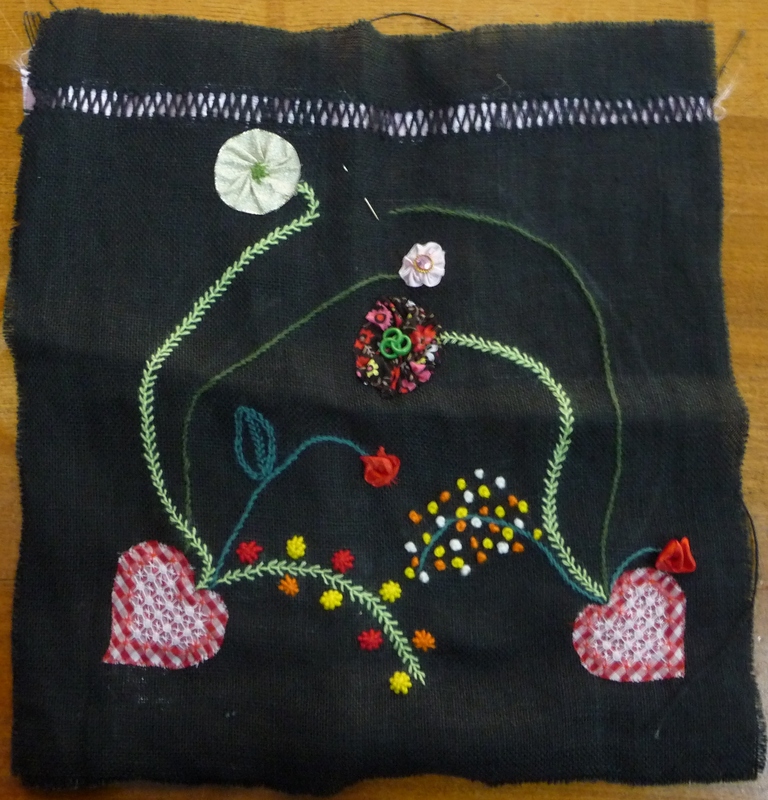 Sejal Shah used her imagination to create this lovely shopping bag. 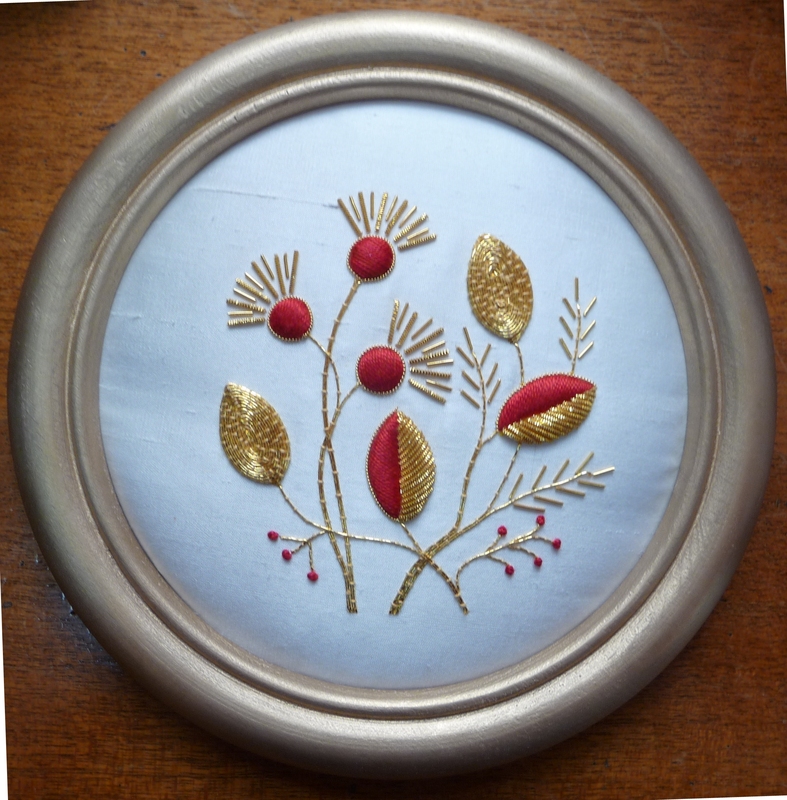 Heather Campbell’s Crewel and Gold work pieces from the Mary Hickmott workshops. 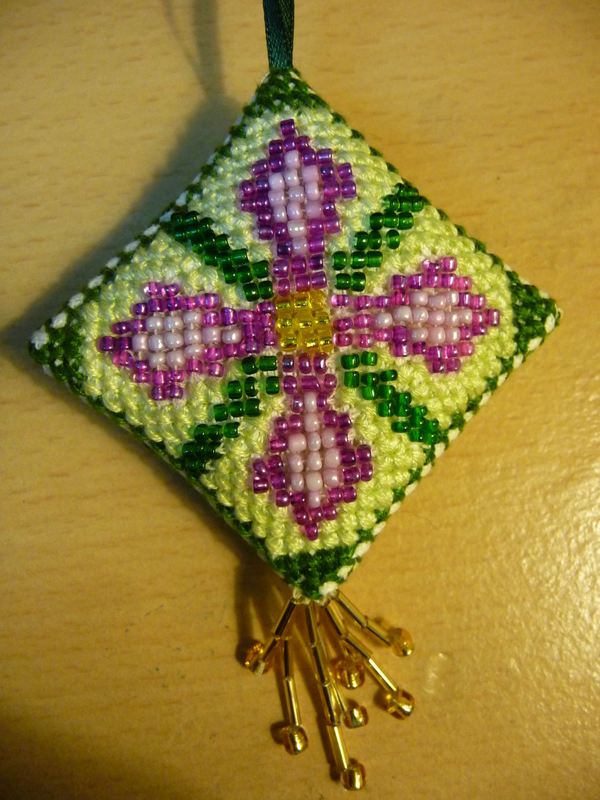 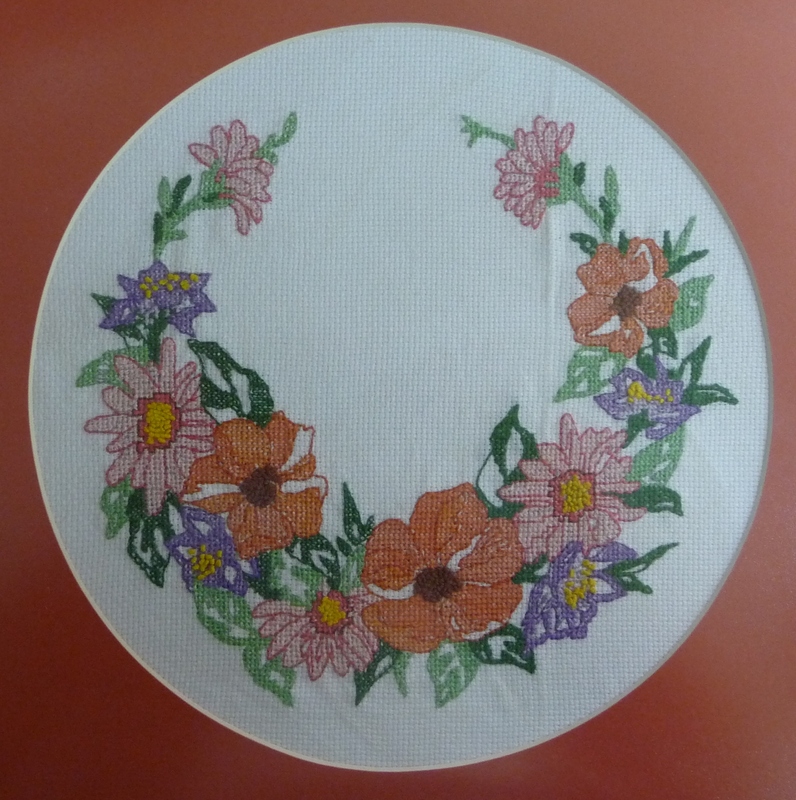 Heather had used extra thread to create a border round the samples. 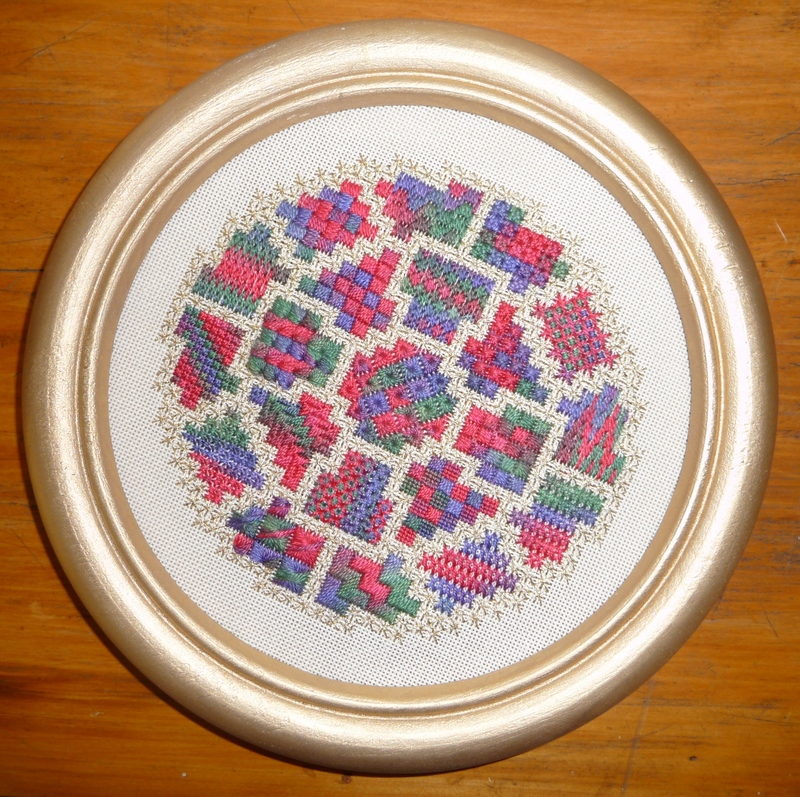 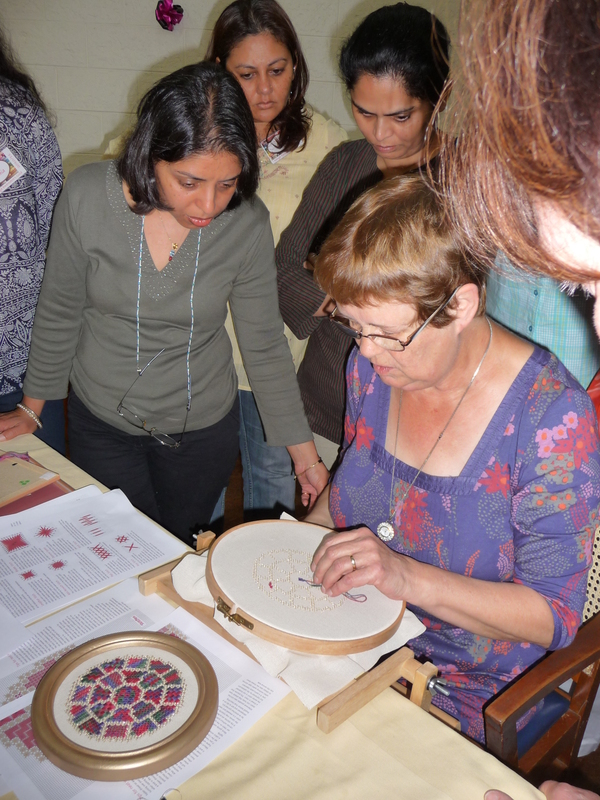 Noor of Unik Framers has enhanced the embroideries by using her new machine to cut octagonal mounts – most attractive. 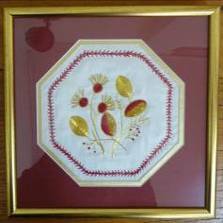 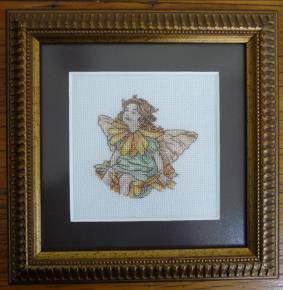 A wonderful example of how a well mounted and framed embroidery can become something very special. 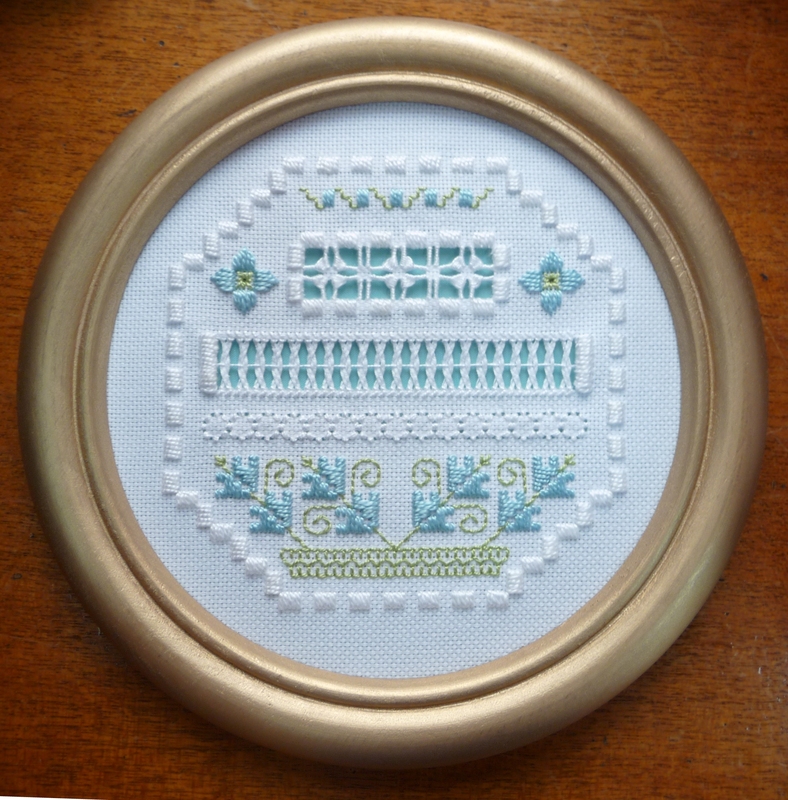 These three cross stitch pieces by Jasbir Jabbal. 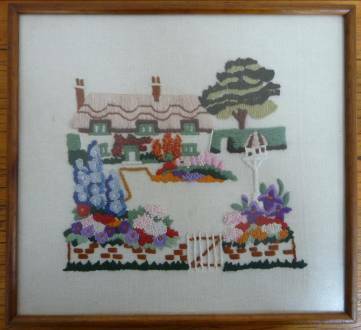 The cottage garden is a lovely example of the effect that can be achieved using different stitches – French knots, long and short stitch, button hole etc. 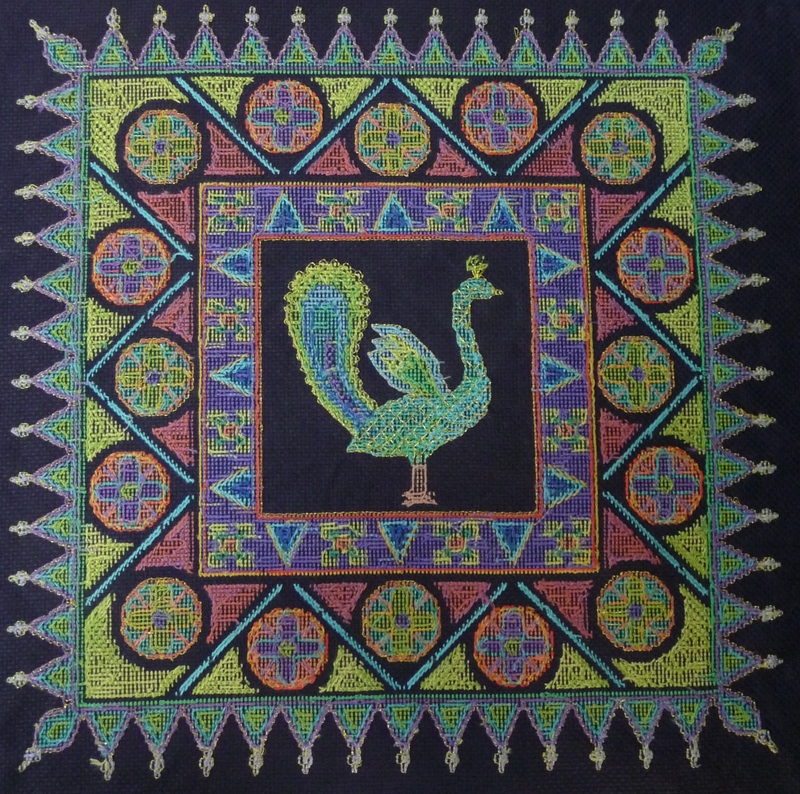 Click on the images to view enlarge image. 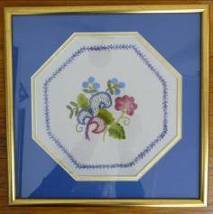 Click on the images to enlarge them or view them in details.